How many of us have been to a Christian Conference and received a welcome pack? I love them! Registration at these events can easily be a non-event – a standing in line to get your name ticked off and handed a name label that you know will begin curling at the corners before long. But how things change when you get handed a welcome pack! There is a moment of excitement. Suddenly it’s Christmas Day and you’re opening the present to discover the treasures within. A name badge, a pen, a notebook, maybe even some sweets! This gift has been given to you – it has your name on it. It welcomes you to a new place, treating you, accepting you, telling you that this is where you should be. A few months ago I had this welcome in Vienna. I was there to go to a fundraisers conference with members of Bible Societies from across Europe. 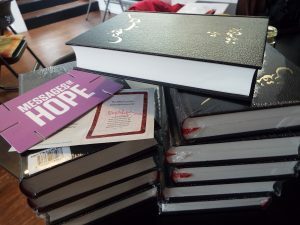 Our hosts, the Austrian Bible Society, welcomed us with open arms, and how happy I was when I arrived at my hotel room to find a welcome pack! 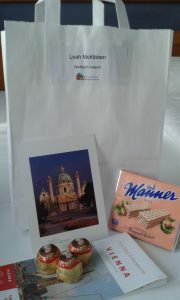 The white paper bag sat invitingly on the bed linen whispering to me ‘welcome to Vienna – it’s going to be great’! There was a postcard addressed to me, leaflets to flick through, and to my delight there was even a map and some chocolates – two of my favourite things! Being welcomed somewhere makes you feel accepted and loved. I’m not a person who finds travelling to new places and meeting new people an easy thing to do. I’d sat nervously alone on the plane, unsure of what I was going to discover when I landed. I’d navigated my way around airports and train stations, deciphering signs in German and making sense of unknown ticket machines. I was anxious and afraid, dreading what awkward social situations I’d find myself in once I got to the conference. But these feelings were eased as soon as I received a welcome. All at once I felt like I belonged; like I had a place at this conference; that I didn’t need to be nervous about the place I was in and the people I was with. I am so grateful to the staff at the Austrian Bible Society who went out of their way to make me feel welcome. When I arrived in Vienna I was a stranger and I was invited in. It was evident that this biblical welcome came not just from a place of duty and obedience, but from an embedded desire to make known the love and care of Jesus. These people were opening their arms and being an embodiment of Christ’s acceptance and kindness. 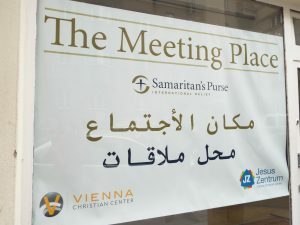 I got the chance to visit a centre called the ‘Meeting Place’ which is run by one of the big churches in Vienna. Here refugees are given a space where they can meet and receive training and teaching. 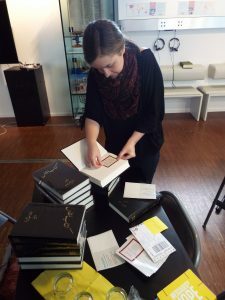 They have the opportunity to read and study the Bible together, and they receive their own Bible, in their own language from the Austrian Bible Society. When I was at the ‘Meeting Place’ I met Asad (not his real name). He was keen to share his story with us but he wasn’t confident with his English. So he’d written it down and he turned his laptop screen towards us to let us read it. Originally from Iran, he had travelled the difficult journey to Austria. A number of years ago he had met an evangelist and had decided to make a commitment to Christ. Being a Christian in an extreme Muslim country was not easy and he had to hide his faith. He worked for the government but going to the office became dangerous as too often he witnessed the treatment that co-workers got when they professed a different belief to that of the Muslim religion. Asad and his brother had to make the difficult decision to leave Iran. They travelled through Turkey and Greece, using whatever form of transport they could find – plane, boat, bus or walking. Asad didn’t go into much detail about his journey; his account was brief and factual, and I wondered what he had had to face in comparison to my slight confusions at train station ticket machines. He was keen to tell us about the welcome he received at the ‘Meeting Place’. When he heard about it he was quick to visit. There he found help, love and community. He’s learning to speak English and he’s getting the legal advice that he needs. He’s found a place where he belongs. He now works as an administrator for the church and is enjoying translating Bible lessons into Farsi for other refugees. Whether woman, man or child; Irish, Canadian, German or Iranian; rich or poor; healthy or sick; Christian or Muslim; friend or stranger… Jesus tells us to welcome them. Christ accepts all people into his family. If Jesus did it, we should do it. Surely as Christians, as people who cling to the life-giving words of Jesus and strive to be like him, we should welcome people into the family. And let’s not wait for the stranger to come to us and knock on our door – let’s go out and meet them… ‘so reach out and welcome one another’. Let’s go into our shopping centres and housing estates. Let’s stretch out a hand to the homeless and forgotten. Let’s go to the refugee camps and detention centres. Can we join in with Tina and say “we love them, we receive them, we welcome them”? Would I go back to Vienna? Yes – but not only for the schnitzel and apple strudel. I’d go back because I know I’d be welcomed by family. My prayer is that when people interact with Christians in Northern Ireland they too would feel welcomed. I pray that our eyes would be opened to see the stranger and our hearts and hands would be ready to reach out with a welcome pack into God’s family. Leah McKibben is Projects Manager for the Bible Society NI. 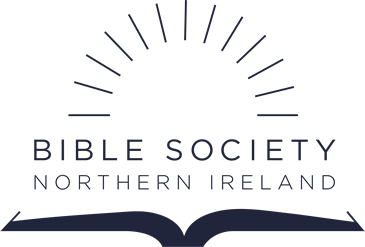 She enjoys visiting different church groups around the country, sharing about the work of the Bible Society NI and encouraging people with stories of how God’s Word is impacting lives all over the world.